What student, or teacher for that matter, doesn’t love treats? About a week before the test begins we read a letter to our students about how their parents can bring in healthy snacks and healthy drinks on the days of the test. This gets the students excited. You can find the FREE letter by clicking here. It is important to start off testing days with a short morning meeting. For those of you that have never done this, don’t worry. Students need to be acknowledged and appreciated, especially on testing day. First, it’s a simple greeting in the morning to everyone. We have used a koosh ball to throw around the room, have the student give high 5s to each other, and do a pinky shake to name a few. Next is a quick share. Some topics that we have done during testing are: raise your hand if you ate breakfast today, raise your hand if you got at least 7 hours of sleep and so on. The third activity is a cooperative game. This is a time to get up and do an activity together. The favorite activity of our classes is the beach ball toss. We bring a beach ball into the classroom and pick 3-4 students to be in a circle. Their goal is to see how long they can keep it in the air. Then we pick the next group until all students have been picked. The final part of the meeting is news and announcements. This is where we share what part of the test they will be doing that day, when snacks are, and any other events happening during the day. Students like to know the routine ahead of time. Students always bring worries with them to the state test. To combat this, we created a stress chain activity that we do the day before the test. What the teacher needs are various colors of regular size construction paper. Take each piece of construction paper and cut into about 8 equal strips. Hand out two different colors of construction paper per student. Tell them that you want them to write their worries about the test on the paper. Some examples are: “I might fail. I might not know an answer. 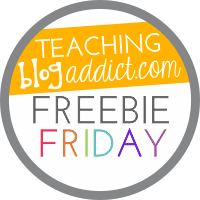 I will get nervous and forget everything I know…” After they have finished, have the class help you make them into chains by looping them together and stapling. Take the completed chain and tell the students that you are going to hang all their worries outside the classroom door. So when they come in to class tomorrow they are to leave their worries at the door! You can find a printable version of the directions for FREE here. Another fun idea is to create a test taking first aid kit for the students to “use” during testing. The kit includes items that students could use during the test. Check out the contents of the bags and the FREE activity here. One important thing that you need to do with your class is to take brain breaks when portions of the test are complete. This could be the time that you have your snacks, or when you do some quick movement activities (jumping jacks, running in place, wiggling arms and legs..). Students need the time to get up and move around. 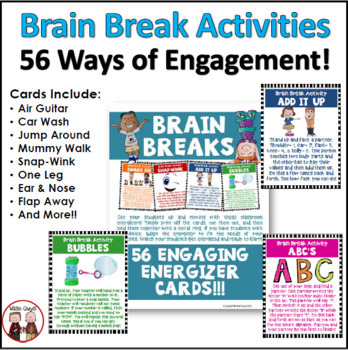 Click here to check out our favorite brain break cards to use in your classroom! Before testing begins, we make sure that EVERY student has at least two sharpened #2 pencils in their desks. We also make sure that we have a can of sharpened pencils available too. The last thing you want is for a student to panic when s/he breaks a pencil. It’s not what you think! No, we do not allow bubbles in our classrooms, but that could be fun. Instead, we are talking about those fun bubbles that students need to fill in on the test booklets and/or answer sheets. If your students are grades 4 or higher they can probably do this on their own. Ask for assistance from an aide in the school or someone that can help you do this ahead of time if you teach a lower grade. If your students are doing this on their own, make sure to give clear directions. Something fun to do at the end, would be to give them a blank bubble sheet and have them make up designs. During our brain breaks we often turn on music to let the students unwind. Sometime it might be soothing classical music, or other times it is the music we downloaded on our ipods that has more modern (appropriate) songs that the students would enjoy. They love it! #9 Basketball Trash Shooting with stress chain. At the end of testing, we take apart our stress chain and hand back the pieces. Each student gets two shots at the garbage can after crumpling them into balls. They have a blast with this! What better way to celebrate the end of testing than with some ice cream. You become the students’ waiter/waitress and serve them ice cream and various toppings. Check out the letter that we send home to ask parents for items for the party here. Those were 10 tips that we have used in our classrooms. We would love to hear what has been successful for you! Love your test stress ideas! I’m a PK-12 counselor and hope to use some of the activities in the next couple of months! Love your ideas, but during State testing I’m not allowed to do most of them. It might be different in some places but once our kids start the test, there can’t be any breaks until they are finished and the book is closed. They also can’t have anything in their possession other than a pencil and scrap paper (if needed and appropriate). They wouldn’t be able to have snacks until everyone has finished. All of the ideas are great, you would just have to adjust to meet your state requirements. What a great list! These poor kids have a whole lot of stress in school. It’s nice to see a nice variety of stress relievers! My second graders love a 2 minute dance party… I put on fun music, and they get their wiggles out. So helpful! Thank you! I love the leave your worries at the door!